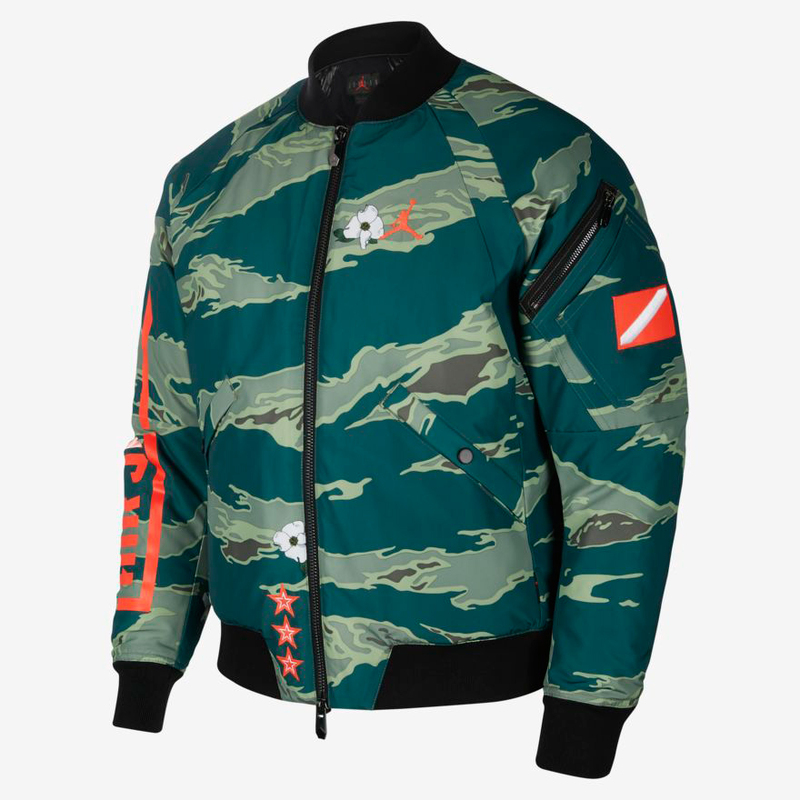 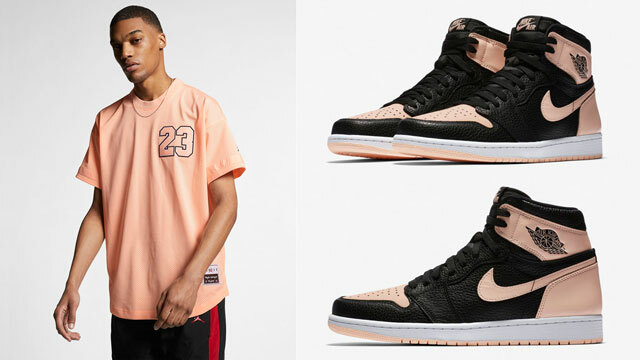 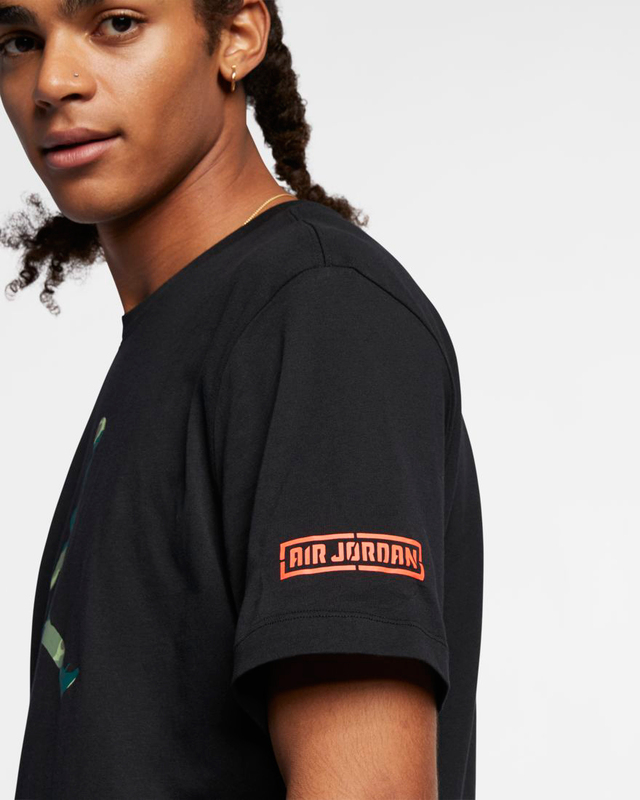 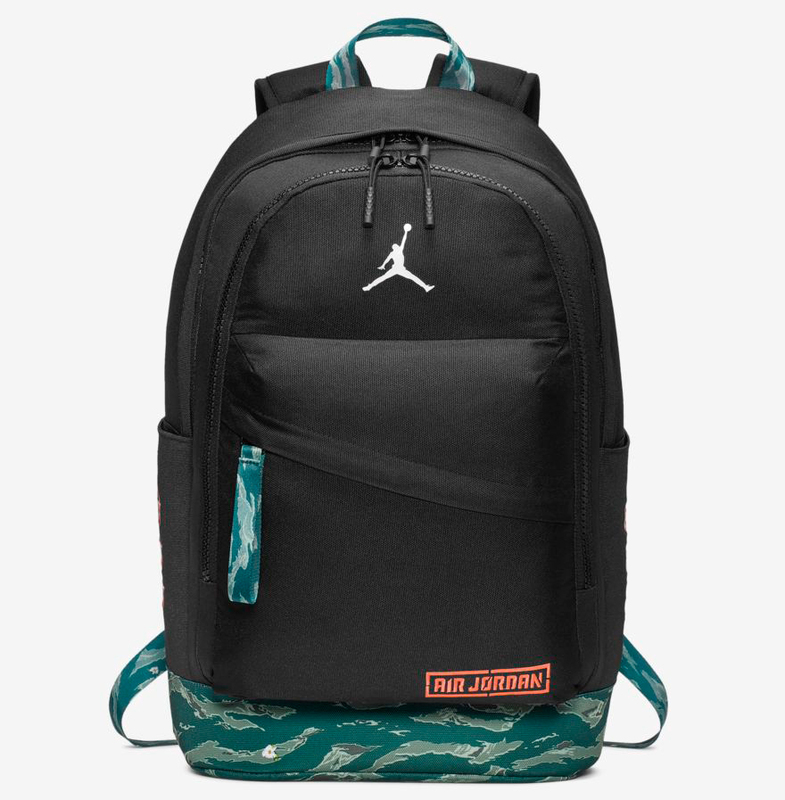 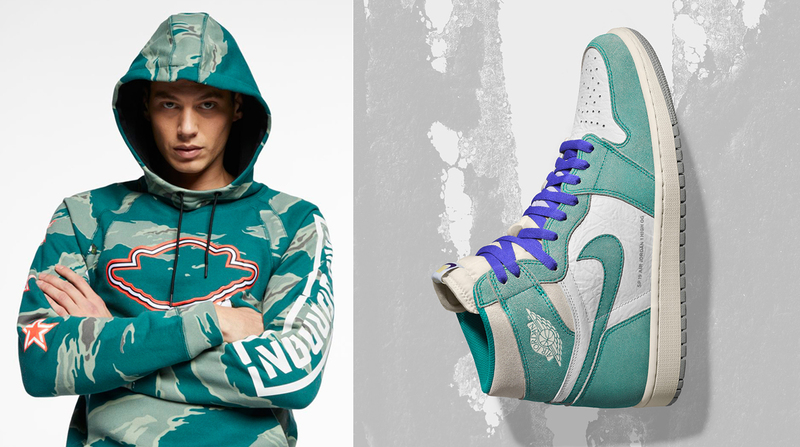 New from Jordan Brand’s 2019 All-Star Collection are the Air Jordan 1 “Turbo Green” shoes that release on February 15th and to match the kicks is this Jordan “City of Flight” Camo Collection to hook. 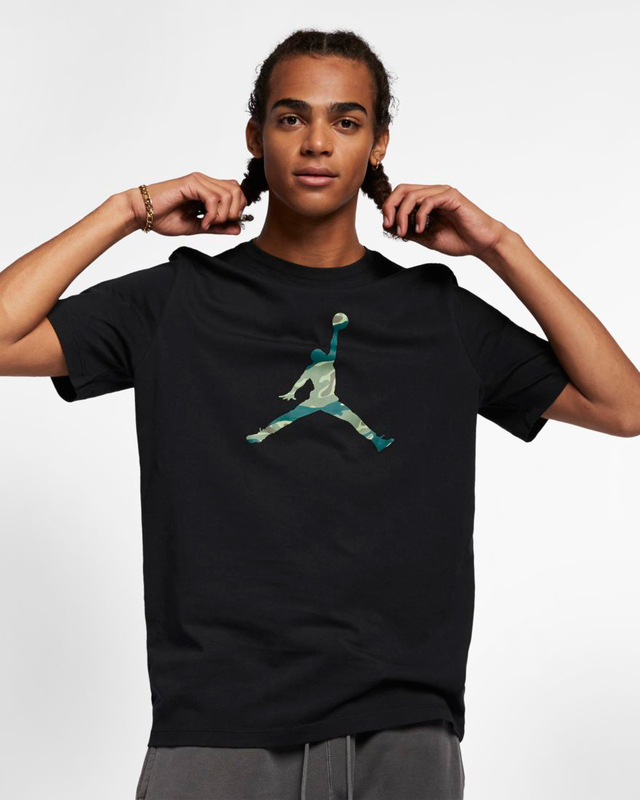 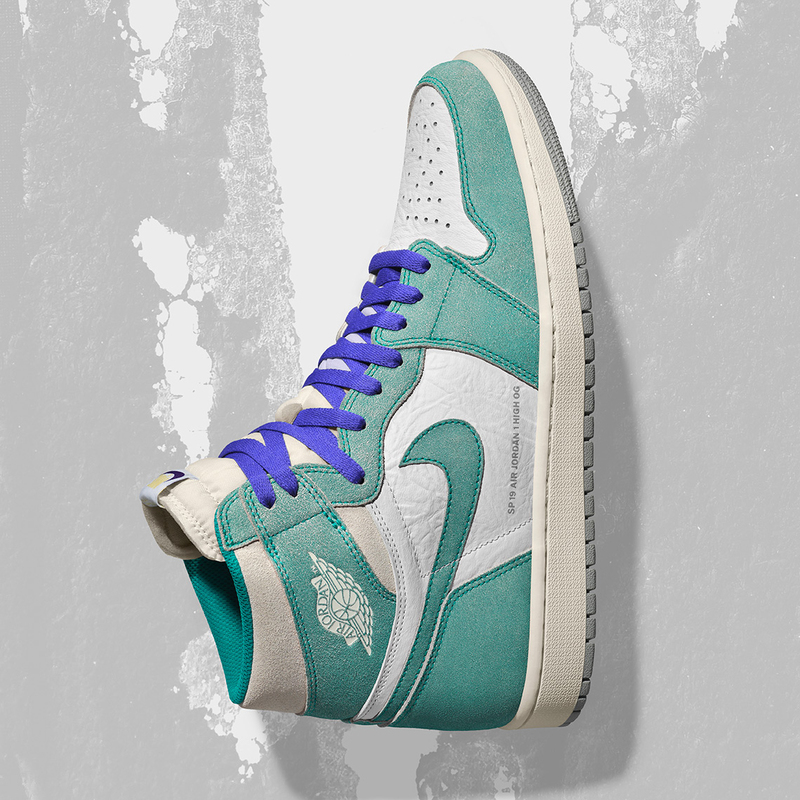 Paying tribute to the 2019 NBA All-Star Game’s host city, the Air Jordan 1 “Turbo Green” is inspired by the 90s and Charlotte Hornets retro team colors, while the City of Flight clothing mixes in similar hues with the addition of Infrared accents to cross-link with the Air Jordan 6 “Black Infrared” shoes and clothing. 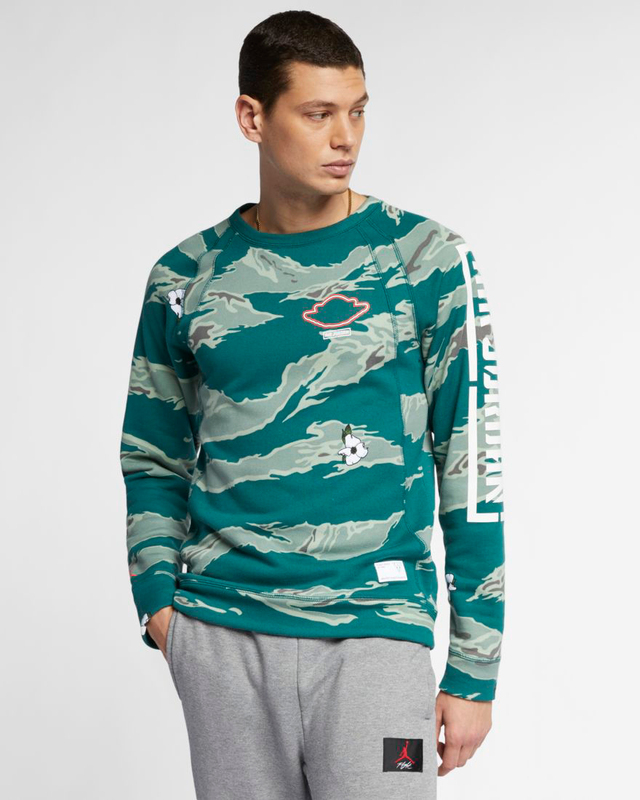 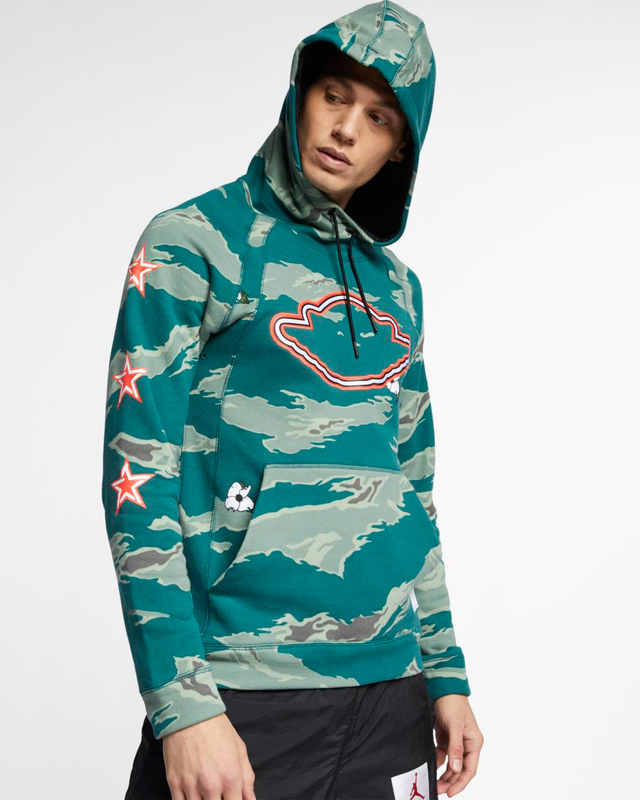 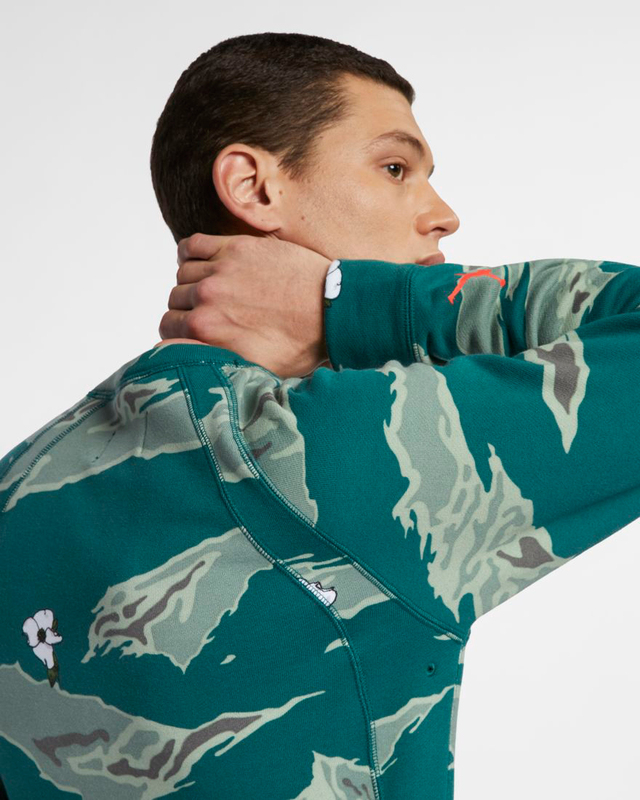 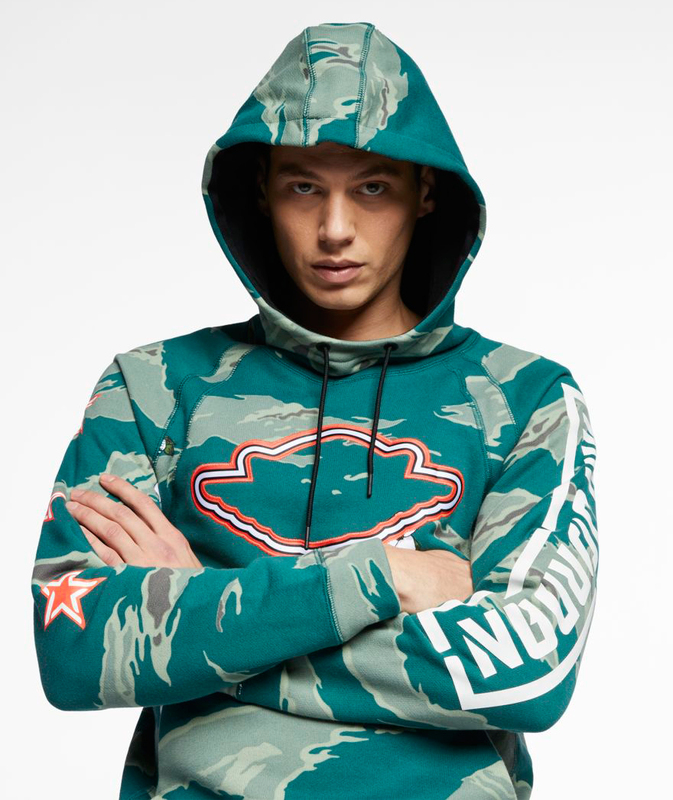 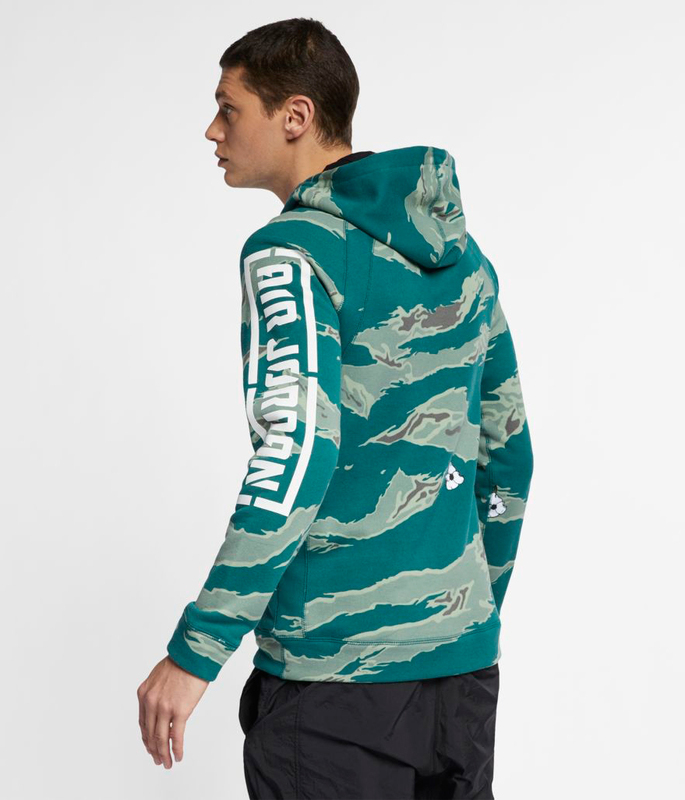 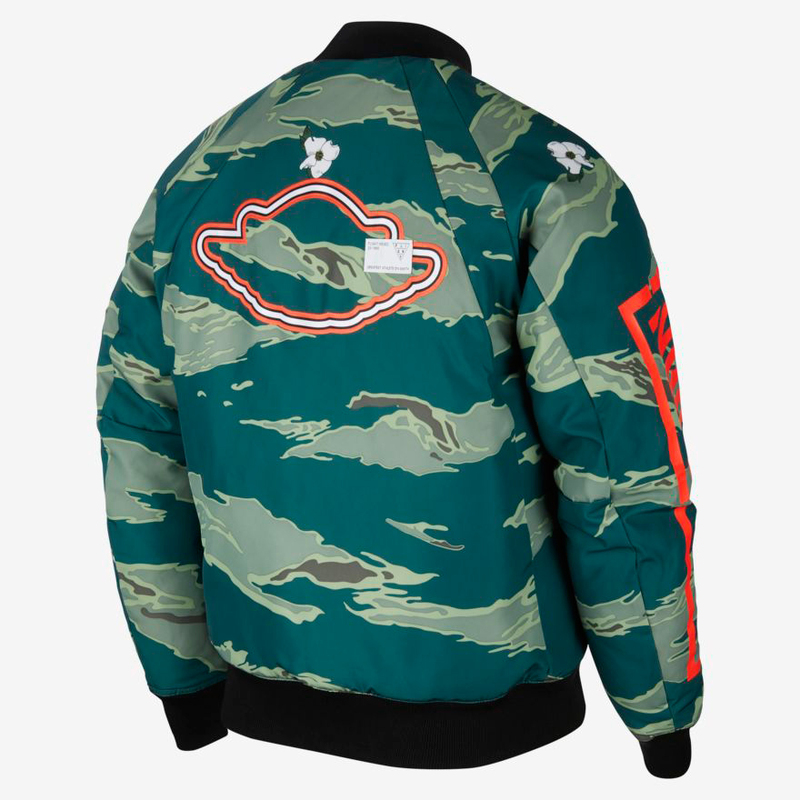 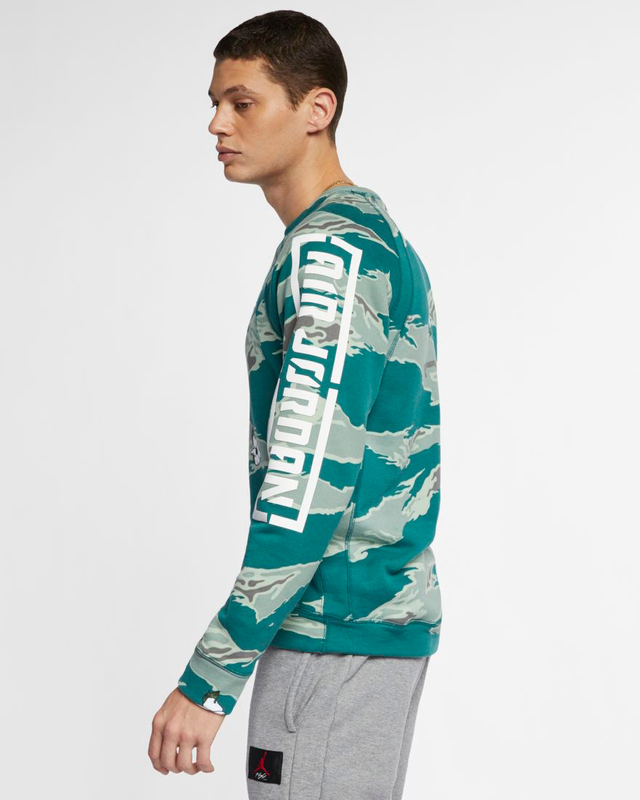 The camo pattern on the gear also gives a nod to North Carolina’s flight heritage with military-inspired graphics included on the hoodie, crew sweatshirt, t-shirt and backpack. 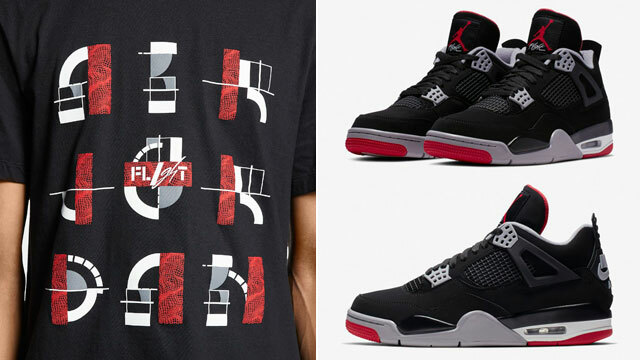 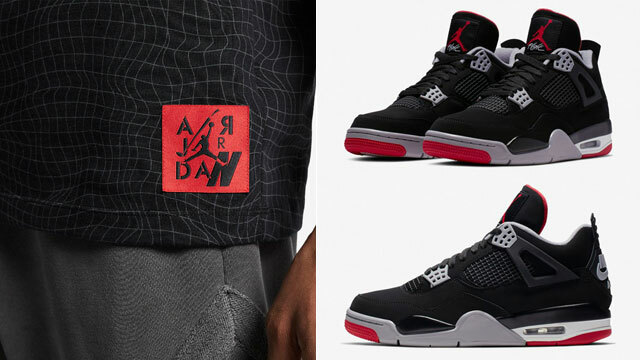 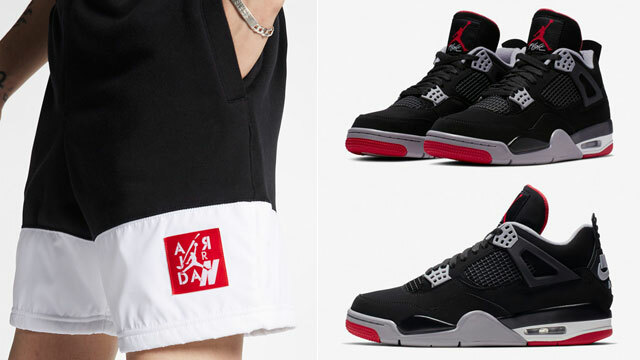 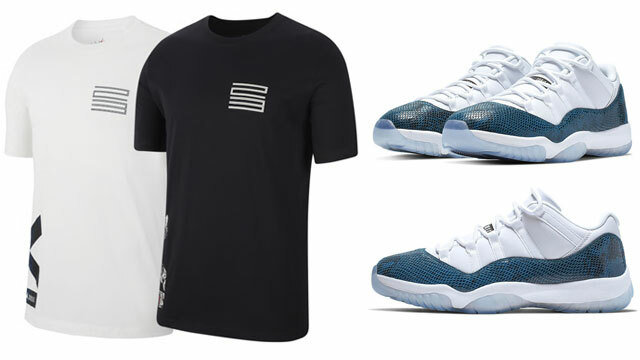 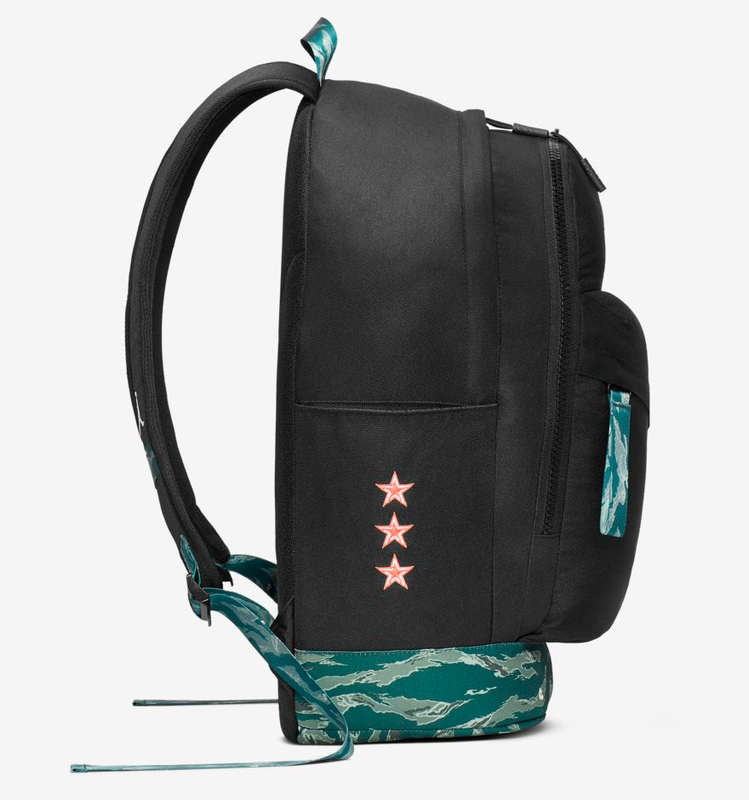 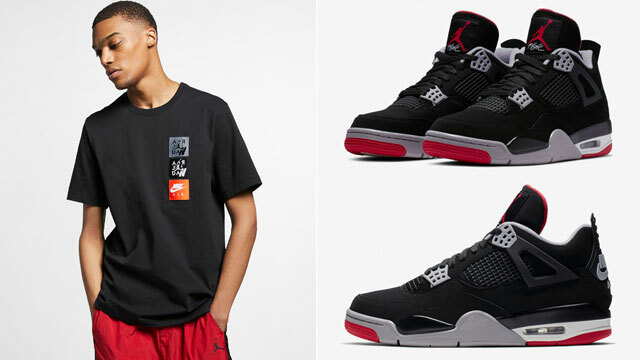 You can shop the Jordan “City of Flight” Camo All-Star Collection below. 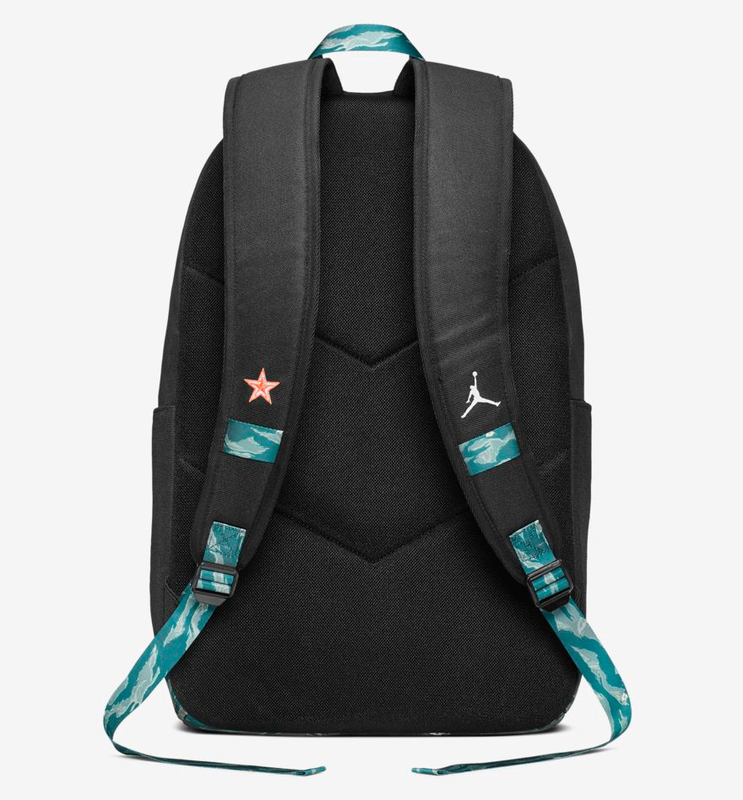 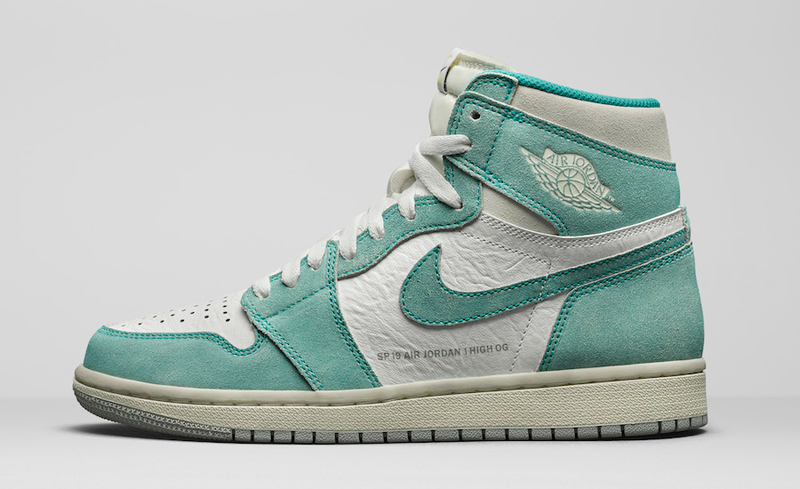 Click here for more gear to match the Air Jordan 1 “Turbo Green”.